Grab a hand full of wins on DJ Wild slots at Vegas Spins today! Stand a chance to win 1,700x your initial bet on this nightclub themed game. Just imagine the club filling up for the night and the crowd waiting for you to spice things up for them! DJ Wild slots is a 5 reel and 10 payline slot game accompanied by an upbeat soundtrack. Powered by Elk Studios, this game has features like: Re-Spins, Sticky Wilds, Expanding Wilds and Jackpot Wilds to boost your wins! 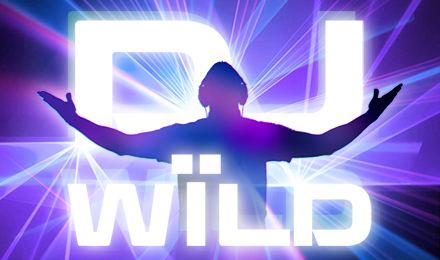 If you manage to land the DJ wild logo on the reels you could win up to 1,700 times your stake value. Get ready to take on the music thirsty people of this brilliant night club!